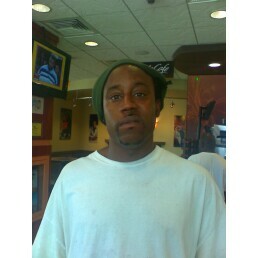 I met Aaron at McDonalds at 65th & Western. He was panhandling change and I was able to buy him something to eat. I showed him my 2 business cards I told him, I have LIFE INSURANCE and DEATH INSURANCE, Which one do you want; he answered The Life Insurance. I told him Wrong; you want the death insurance because the death insurance was Jesus! Then I began to talk to him about the Lord. He said he used to go to church but hasnt gone in a while. We prayed and I told him I would continue to pray for him. I went back to try to find him about 3 weeks after I saw him but he was not there. PRAY: That Aaron gets the small seed watered and that he will eventually find and learn to worship Jesus in spirit and in truth. This entry was posted on Wednesday, August 17th, 2011 at 6:35 am	and is filed under Harvey Pinkney's caseload. You can follow any responses to this entry through the RSS 2.0 feed. You can leave a response, or trackback from your own site. Lord I pray for Aaron wherever he is please move by your Holy Spirit and help him, Let someone come along and water the seed that has been has been planted OH LORD! Lord let someone come along Lord and water his seed. When it happens remind him God that you are moving in his life. I pray for Aaron LORD. please touch him wherever he is Oh Lord. Please lead me to run into him again Lord. Thank you Jesus! Lord God I pray for this young man you know where he is Oh God. Praise your name Oh Most High. Father I have not seen this young man since that day. I pray that wherever he is you would protect OH God and bring him to yourself. Father I join the prayers to the prayers made by his mother and grandmother. I pray for a mighty salvation Oh God.